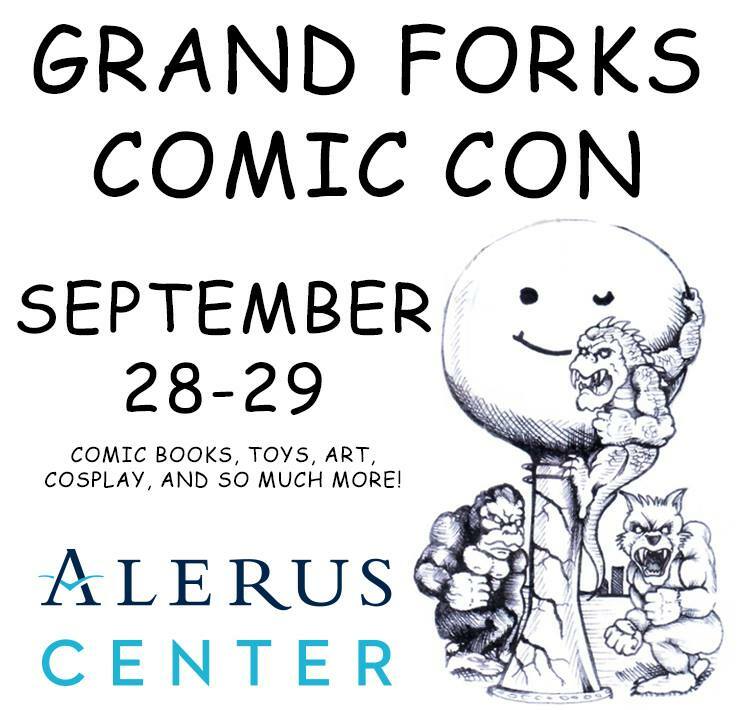 UPDATE 4:00 PM Monday: The Alerus Center has announced Grand Forks Comic Con will now be held on September 28 and 29. UPDATE 3:00 PM Monday: A spokesperson with Grand Forks Comic Con says the event will be rescheduled since it was originally supposed to be held the same weekend as ValleyCon in Fargo. GRAND FORKS, N.D. – Grand Forks Comic Con is going to try and give ValleyCon a run for its money. The two-day event featuring comic books, toys, art, cosplay, a costume contest and more is being held the same weekend as ValleyCon 45 in Fargo. Comic Con will be held at Alerus Center on October 19 and 20. Tickets go on sale on May 10. ValleyCon 45 will be held at the Ramada in Fargo on October 18 through 20 and will include a special appearance by Lou Ferrigno who played The Incredible Hulk on the CBS TV show. A spokesperson for Grand Forks Comic Con says he wasn’t aware ValleyCon is scheduled the same weekend as the Grand Forks event. He says he’s “not trying to start a war” with ValleyCon, but he’s not able to reschedule Grand Forks Comic Con because of other conventions Spectra, the company running the Grand Forks event, hosts. Click here for more information on Grand Forks Comic Con and here for more information on ValleyCon.